For those not traveling to Austin this week for this year's SXSW, there's plenty of opportunities to join in the festivities online. Start with an overview of performers on NPR Music's The Austin 100, where I found blog fave (and Austin's own) The Octopus Project, along with worthy listens from Bell Gardens, Cheerleader and Mayor Hawthorne. Billboard posted "10 Musicians You Need to Watch For at SXSW 2015," where you'll find Aussie Courtney Barnett, who is releasing a sophomore album on March 24 with a title reflecting her stream-of-consciousness style, Sometimes I Sit and Think, And Sometimes I Just Sit (Mom+Pop Music). 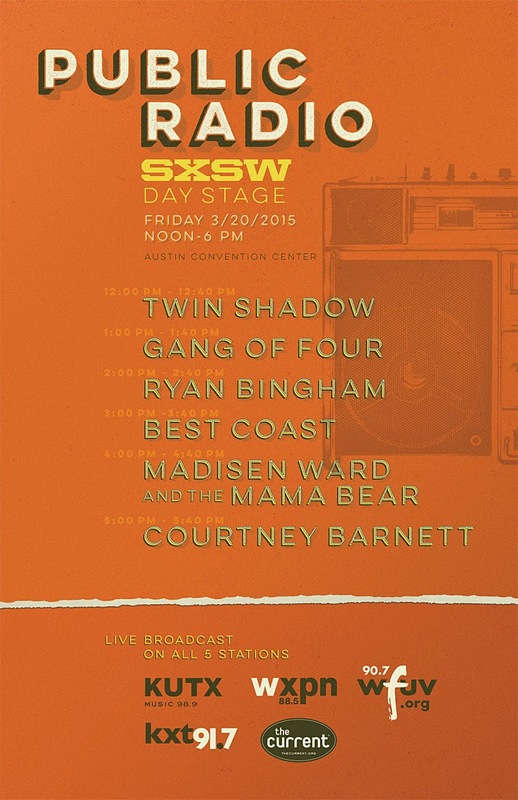 Courtney Barnett will be busy, playing the NPR Music Showcase on Wednesday, March 18 (along with Boogie, Shamir, Strome and TV on the Radio) and the Public Radio Day Stage on Friday, March 20 (with Twin Shadow, Gang of Four, Ryan Bingham, Best Coast, Madisen Ward and the Mama Bear). NPR Music will post videos "days following the concert" but you can listen to the Public Radio Showcase from 1 pm - 7 pm EST online via your favorite station: NYC's WFUV, Philly's WXPN, KXT Dallas, KCMP The Current in Minneapolis and Austin's KUTX. L.A.'s KCRW will also host two showcases in Austin on Wednesday, March 18 during the afternoon and evening, which will be featured during the Morning Becomes Eclectic show on Friday, March 20 from 12 pm to 3 pm EST and Anne Litt's show on Saturday, March 21 also from 12 pm to 3 pm EST. 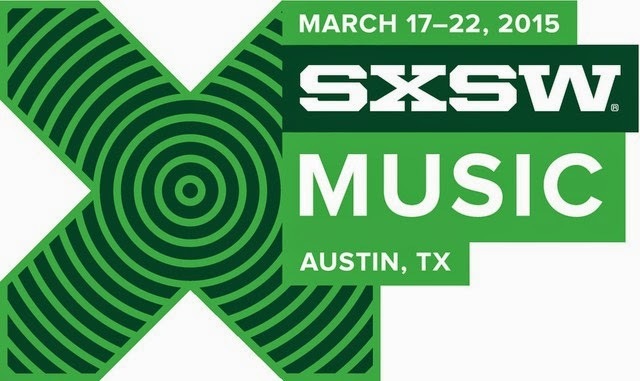 Be sure to check out "Newbies to Know at SXSW 2015" and "Bands We Love to Make a Splash at SXSW" as well as updates all week on KCRW's Music Blog. SXSW will also launch a live video platform this year called SXSW On with a full schedule of presentations and a few showcases to look in on from wherever you are. Happy listening!